Cohens Fashion Optical (Brooklyn) - Book Appointment Online! 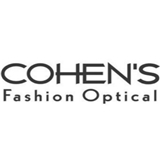 Cohen’s Fashion Optical has been providing full service eye care to the Brooklyn community for over 35 years. We have a multi-lingual staff that can assist you in English or Spanish. Our experienced eyewear consultants will help you select the best frame styles and lenses, to suit all your vision and lifestyle needs. Our trained NY State Board Certified Optometrists and knowledgeable staff can address a wide variety of optical needs including night vision, progressives, or dry eyes. We can expertly fit you with contacts and provide contact lens training. Cohen’s offers expert eye exams and can accommodate both walk-in and scheduled appointments. Our Doctors are available 6 days a week for your convenience. Make an eye exam appointment with us online. The staff was definitely the best I've encountered in a long time. I felt like I left New York for a second. All other people in the waiting room seemed satisfied as well. Dr. Brian Seth Vann was genuine. He answered all my questions. This is the best doctor visit I've had in years. I got my glasses the next day. I feel great! Thank you!